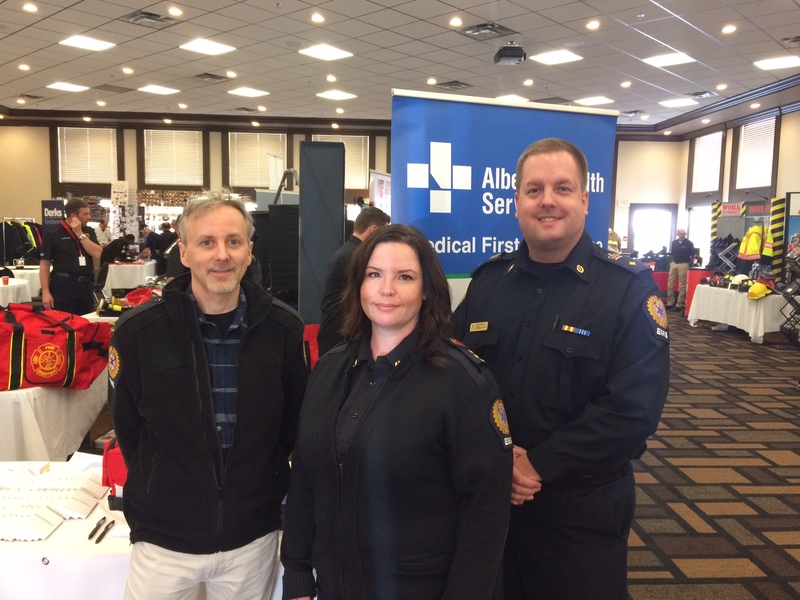 The Alberta MFR Program featured a booth at the Northern HEAT Conference and Trade Show held in Peace River, May 4-5th. Attendees talked to us about their MFR activity and some of our recent announcements, including the Red Cross Training Partner Agreement and MFR Agency survey results. There was some great discussion and a chance for us to touch base with our MFR partners in the North. Pictured below (starting left): Dr. Richard Martin, North Zone EMS & MFR Medical Director, Amber Bagan, EMS Supervisor Operations Support and Blaine Barody, Provincial Manager MFR.